Omate Truesmart – a smartwatch with a built-in five megapixel camera – is set to go into production after hitting its crowdfunding target. The device raised more than $100,000(£63,760) of pledges on fundraising site Kickstarter, guaranteeing it will get the cash. 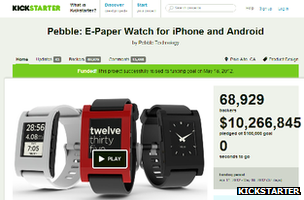 Another watch, Pebble, secured a record $10.2m via the funding site last year. Omate’s achievement comes ahead of the much-anticipated launch of a smartwatch from Samsung. The South Korean firm has confirmed it is working on the product and has filed patents for possible designs. It has not announced when it will unveil the product, but its next scheduled event is at Berlin’s Ifa consumer tech show in a fortnight’s time. Unlike many of the smartwatches already on the market, Omate says the Truesmart can be fitted with a micro-Sim card to make use of its 3G chip. This will allow it to make voice calls and send social media messages without having to be paired with a smartphone or tablet – although that is also an option. One of Omate’s three co-founders told the BBC that the project had been in development for one-and-a-half years and that they already had a factory in Shenzhen, China ready to go into production. “We already have working prototypes, but not the final design,” said Nick Yap. “Most of the functions are there but we still need to add voice and gesture controls. He added that his company planned to make samples of the finished product next month and to ship the first watches to customers in October. Omate is not the only new firm teasing a camera-equipped smartwatch. Earlier this month Geneva-based Hyetis announced plans for Crossbow – a product with a 41 megapixel camera in its side. The developer said that it intended the device to be able to interact with iOS, Android and Windows 8 handsets and added it would cost $1,200. It said that it intended to ship the product by the end of the year, although one tech journalist has suggested that may be an over-ambitious target. “This strikes me as a start-up with a big idea,” wrote Mike Elgan. “I doubt they’ll ship this year, and it’s possible they may never ship. Still, it’s an ambitious effort. 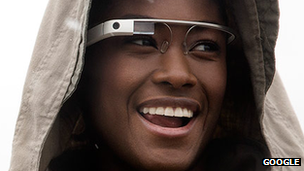 Tech consultancy Gartner predicts the global wearable computing market could be worth $10bn by 2016. However, one of its analysts had doubts about the products being proposed by Omate and Hyetis. “The whole point about the camera in Google Glass [eyewear] is that you can take a photo just by looking at somebody,” said Carolina Milanesi. “With these watches you’d have to position your hand and extend your arm to take a picture. The idea of including a lens seems like a gimmick and not something that people would want to use in that kind of way. Pebble – whose smartwatch features an e-paper display to reduce power-use, but no camera – has been the most successful start-up of its kind so far. The California-based firm revealed in July that it had received about 275,000 pre-orders for its device. The $150 product has since gone on sale at Best Buy stores in the US. But Ms Milanesi said Gartner expected that it would be more established firms that would ultimately triumph in the sector. “Pebble has helped kick off the whole idea, but I think for a lot of these companies it’s about being bought out eventually or at least selling their assets.